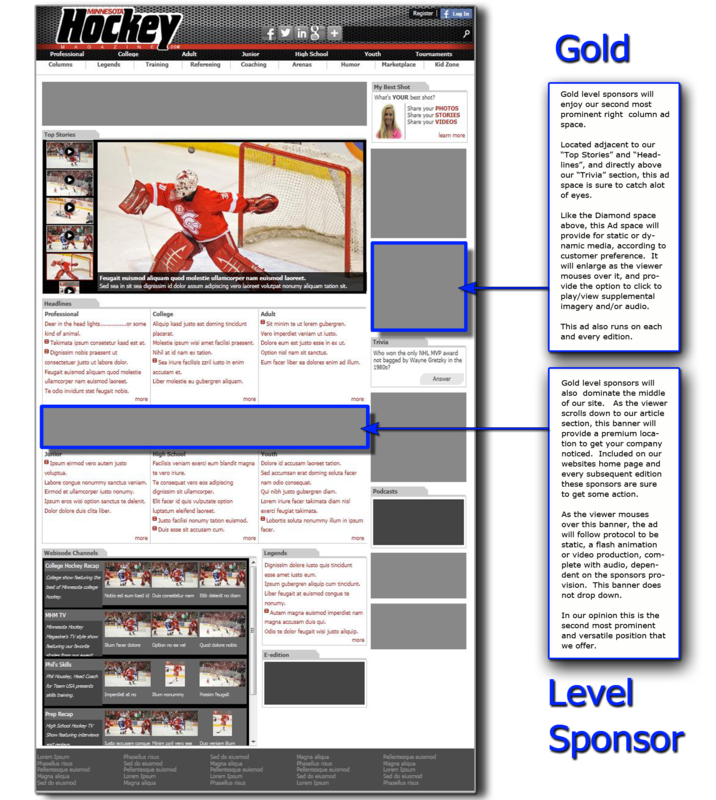 We consider our Gold Level advertising plan to be our “Second Tier” upper-middle-class option. The Gold Level option, like the Diamond, includes some of our websites top real-estate and dynamic (rich media) capabilities. Located only just slightly lower on the upper fold of each and every edition, our Gold Level advertisers still get great visibility, while investing less. We are limiting our Gold Level sponsors in order to provide those who participate, the very best service possible. Go to our “Contact Us” page and submit your “request for information” or just give us a call, and we will send you our “Rate Sheet” PDF.